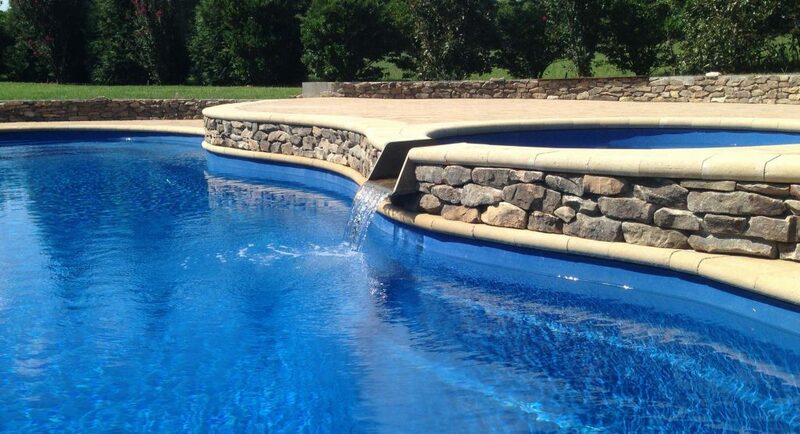 We specialize in custom pools built with quality and care. Excellent question! There are several reasons for the migration to and popularity of fiberglass pools. Rectangular, Free-Form, Kidney-Shaped, and more. Professional installation yields professional results. You supply the dream, we’ll do the rest. Experienced, dedicated professionals waiting to turn your dream into reality! We are a family owned and operated small business specializing in customized pools built with quality and care. "When we decided to put in a salt water pool, we knew the only company we wanted to work with was Osterhus Outdoors. From the very beginning of this process, Ken and Cyndi gave us plenty of personal attention and responded to our questions promptly. Cyndi took me on a tour of the different pools Ken had so artfully crafted so I could make an informed decision about the pool that was best for our family. 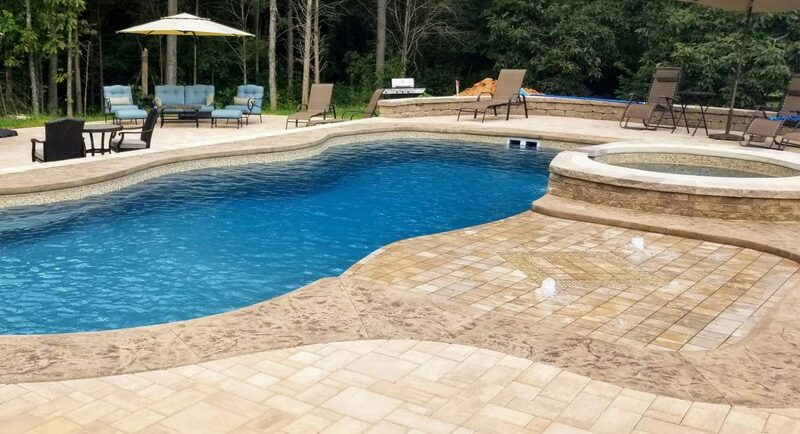 Once we decided on the type of pool we wanted and what features we wanted to include,  Ken worked diligently with us and often anticipated exactly what we were thinking to create a beautiful oasis in our backyard. We are extremely pleased with our pool and will enjoy it for many years to come thanks to the hard work and the creativity of Ken and his staff." 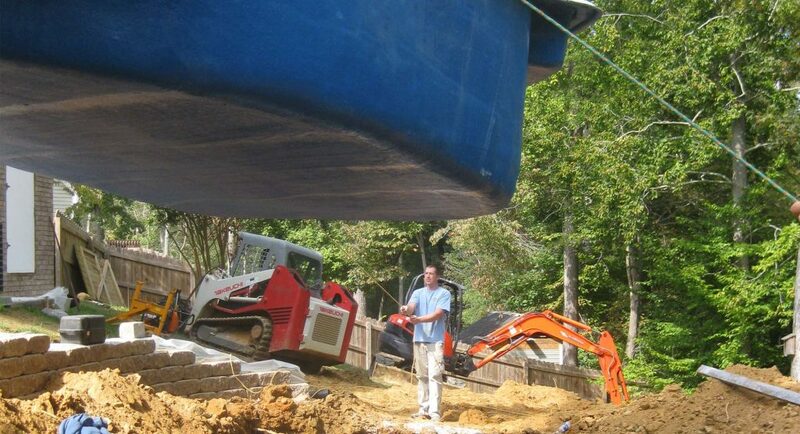 "Ken’s service did not stop once the pool was built. He and Cyndi both have always been available anytime I had questions or concerns. I’ve met just about all his family during and after the construction, and they all have the same work ethic and drive for great quality work that Ken has. I can’t think of another time in my life that I worked with a contractor/company and wound up feeling like I’d made new friends, but that’s the type of operation they run. I would never hesitate to recommend Ken Osterhus and Osterhus Outdoors. Their work is top quality, and I applaud them for both their product and their service!" "The pool that Ken put in for our family has brought us much enjoyment and allows us to spend more time together as a family. In addition, Ken installed the swim jets to help provide another level of exercise for our family. This allowed us to turn our backyard pool into an endless swimming lane. Also, with having a full hip replacement, the pool provides a constant solution for a low impact workout. The entire construction process was very detailed, and Ken and Cyndi took the time to make sure we got what we wanted. We received updates along the way and always knew what was going on. The backyard is simply beautiful, and we have our own personal oasis now. The customer service and quality are unmatched." Now that you have your new Fiberglass swimming pool, sign-up to receive updates from our blog that will help you keep your pool maintained and looking great!